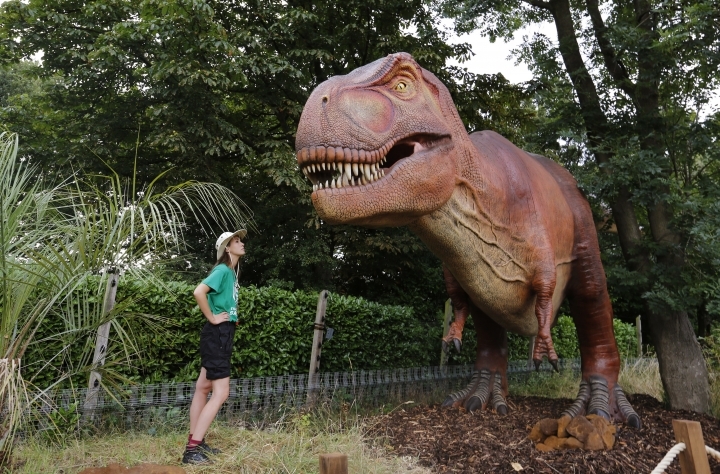 London Zoo is preparing for the opening of a new exhibit on dinosaurs and extinction. 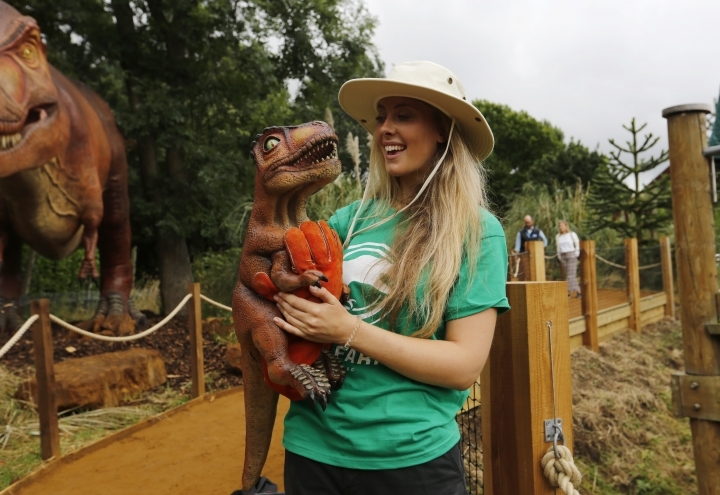 LONDON — London Zoo is welcoming a new star attraction this summer: robotic dinosaurs. Visitors will see robotic replicas of Mesozoic-era dinosaurs, including T. Rex and Triceratops, which lived approximately 65 million years ago, at a "time travel safari" exhibit named Zoorassic Park. The robots make sounds and motions that mimic the real-life dinosaurs. Some even drip water out of their mouths or spray it at passers-by. Information about the dinosaurs' massive extinction is dispersed throughout the display at the zoo in north London. At the end, visitors are "transported" back to modern times with a video on endangered species, recent extinctions and conservation efforts. The exhibition opens Saturday and runs until Sept. 3.